# How the heck did he get a pile to heat to 140 that has a C:N ration of 80:1? I had 20 cubic yards of fresh wood chips delivered to my house once. They got extremely hot, even though they were mostly wood chips, with just a bit of green leaves. 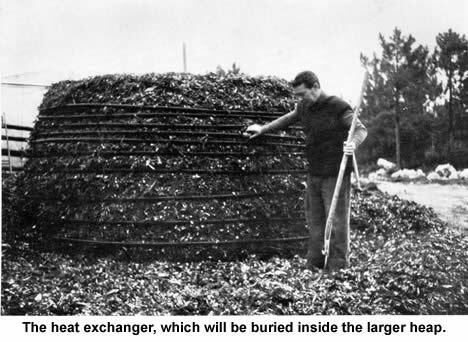 Size matters with compost. They didn’t stay hot for long, but I spread most of them immediately because I was afraid they would catch fire. # Why doesn’t the pile go anaerobic due to its size? I tried to smother a fire once with wood chips, as part of a biochar experiment. You would be amazed how much oxygen gets through three feet of wood chips. After rewatching the footage like 8 more times, it dawned on me that they are cutting the brush green – that is a significant nitrogen load as anyone who has walked through a brushy understory knows. That would explain #1 – the C:N is likely much closer to 40:1 or lower. For #3 I agree – and the (relatively) large particle size would also explain why the piles I’ve seen at Growing Power and similar sites seem to stay aerobic in piles far larger than one would think. Pockets of anaerobic digestion would increase as the piles, ad there for particle size, break down, but given the “build and forget” maintenance regime it seems like a fair trade off for 12-18 months of heat and gas. I have a pdf of the 88 page book. I am so very glad you are researching this! I know it is for you, but my local high school is getting back into FFA and the agricultural part of FFA. They decided in the early part of the 00’s to get rid of actual animal husbandry and launched the whole program into IT. Now they are realizing that actually knowing how to raise livestock, how to garden and farm, and how to do those things sustainably are the necessary skills our rural children need. I am reading with great interest your research as the school hopes to put together a tilapia/greenhouse/composting/fill in the blank set up as you are also hoping to do. They tried raising tilapia several years ago but didn’t do their research enough to realize that being a tropical fish, they wouldn’t survive our winters without heat. We are having trouble keeping an Ag teacher, but I am considering getting involved as a volunteer/teaching assistant merely because I’ve invested so much time and energy into this myself, and I firmly believe our children need to have these skills, and soon. I spent many years as a TA at the high school level before my current career so I know I can do it from the interacting/tutoring aspect. TFHS – glad to hear you’re excited! I rally hope that we move forward with this – financing seems to be falling in to place, we are just firming up site selection from a short list of 2-3. That FFA sounds really great – do you have room on your plate for anything else?! Your energy and experience would be a great addition. 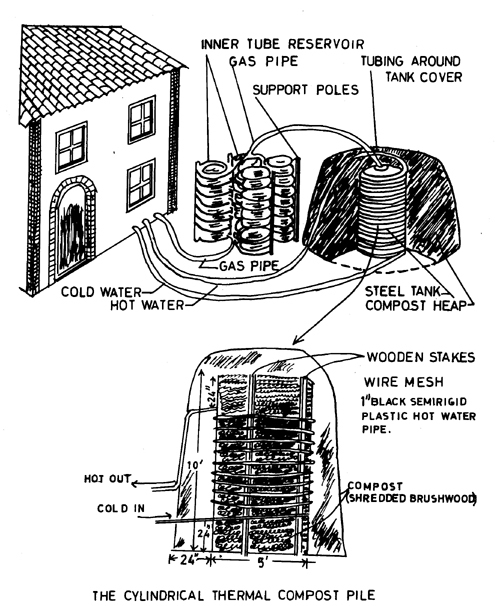 Here’s a design for a compost based water heater in a wheelie bin (home trash can). 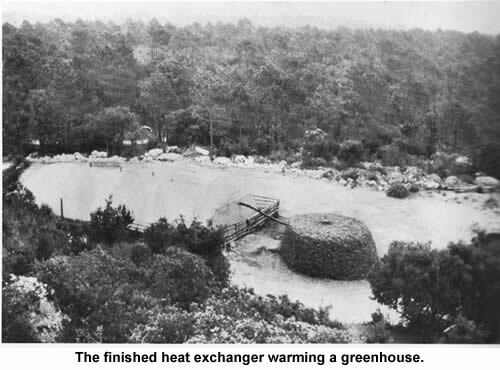 The original purpose was to heat an aquaponic fish tank. In my experience, compost in plastic bins becomes anaerobic and vile. The climate in new South Wales is dry; perhaps low humidity helps. As far as a copy of “Another Kind of Garden” you download a pdf of it from a link on Build it Solar. It’s down near the bottom of the page with more links/articles on Jean Pain. Does anyone have the PDF of “Another Kind of Garden” by Jean and Ida Pain? All links to d/l or buy this book are either broken or the book is not available for sale. I found one used copy on Amazon for $200. Please email me if you have a PDF file you can send. French or English version, either will work. I am an arborist in NW Washington, and am very interested in trying Pain’s method. Thanks! Emailed. Straying far from Jean’s methods results in failure or significantly reduced results. Use small trunk (.5-.75″) green, leafy material. Soak the material for days. Make the piles HUGE. Still have only had mixed success – my brush was too woody last time. Good luck!